Honolulu, HI, February 18, 2012 – Rock your diapers off at First Years Hawaii’s Rockin’ Hula Baby event. The Villa will be transformed into an afternoon dance party for families to “cut a rug” after their mid day naps. Come down and rock out to the hippest tunes in town! 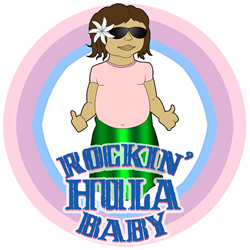 Rockin’ Hula Baby will feature pop, rock, hip hop, reggae you name it spun by a live DJ. For the kids entertainment there will be bubbles, hula hoops, books, games and of course lots of dancing! 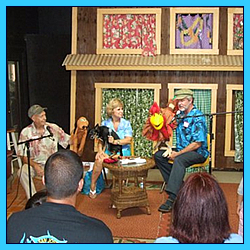 First Years Hawaii’s puppet Nohea will be doing live story book readings. Healthy snacks will be provided. For adult convenience there will be a diaper changing station and spirits will be available for non driving parents. The event will be on February 18, 2012, at The Villa in Aloha Tower from 3:00 – 6:00pm. 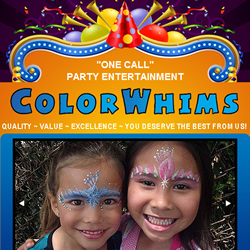 Age group that will benefit from the afternoon festivities are 0 – 8 year olds. Valet and self parking available! Only family members accompanied by a keiki (child) will be admitted. Tons of free parking! Tickets are $10 per walking human and are on sale at www.firstyearshawaii.org. 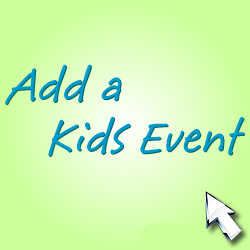 Become a Facebook fan for updates on the event. First Years Hawaii is a 501(c) (3) nonprofit organization whose commitment is to the educational enrichment of all children in Hawaii during their early developmental years (0 – 8 years of age). Its focus is on creating positive learning experiences, through the development of programs and media, for infants, toddlers, parents and child care providers, while perpetuating traditional Hawaiian culture and values. Proceeds from the event will go towards enhancement of a traveling puppet show, Nohea, and to improving the educational quality in Family Child Cares. Princess Ka’iulani Keiki Fest – Storybook Theatre presents a full day of family friendly fun. Festivities include: entertainment, celebrity story readers, hula dancing, a keiki talent contest, coloring and essay contests, horseback rides, a main street parade, food and vendor booths and a visit from the Princess. Curriculum projects from local schools will also be highlighted. This event is free and open to the public. For more information contact Storybook Theatre at 335-0712. Everyone is invited to come to this FREE event and build their own sand castle or sand art to win lots of PRIZES. Individuals or teams of any size are all welcome to create their vision and enjoy a day at the beach as sand artists. Prizes will be awarded to the top entries and as many keikis as possible. For keikis (kids), young and old, beginners, students, artists and professional sand sculptors. 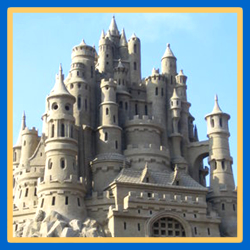 This is Hawaii’s largest and most fun sand castle/art contest.